Helping Children Read Is What I Love to Do! Be Careful About Asking Tenants to Move Out! The $110 Parking Ticket to Avoid! Holiday Tea for Two or More! It’s that time of year to celebrate the holidays with friends and family. 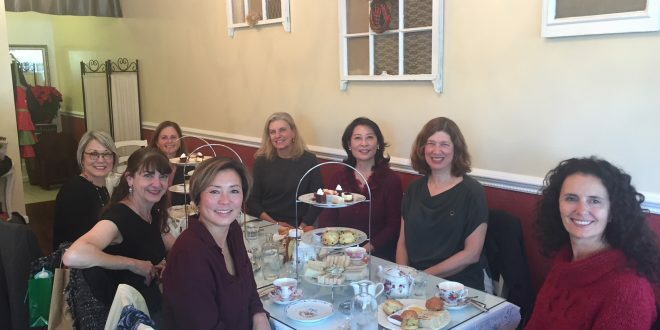 Each year my Book Club goes somewhere different in San Francisco to enjoy a “High Tea” with tasty finger sandwiches, homemade scones and miniature cakes and cookies. This year we opted for a new tea place called Sip Tea Room. It’s in the Inner Sunset on Lincoln Avenue and was opened earlier this year by two women. It’s a small storefront that has been turned into a comfortable dining area with a kitchen in the back where all of the delicacies are carefully made. Previous: Will I Be Selling Properties Soon for Bitcoin?? Next: So You Want to Buy a Two-Unit Building in SF? My philosophy really boils down to this: I put my clients’ best interests first. I represent them the way I would want to be represented – with knowledge, communication, commitment and respect. Feel free to contact me if you are interested in buying or selling a home or even going for a bike ride! Receive the latest in your inbox free! The Seventeenth Offer is the Charm! San Francisco Gets Even Wackier – Baaah, Here Comes Prop G! The Latest on the Real Estate Market in Presidio Heights!